Serving as construction manager and general contractor, the Welty Building Company is erecting the $38 million, L-shaped, 95,000-sq.-ft.Fairfield Medical Center’s (FMC) River Valley Campusin Lancaster, Ohio, southeast of Columbus, which will bring much-needed health care services to this growing community of 40,000-plus people. FMC is collaborating with The Boldt Company, a 129-year old national health care real estate developer and builder, which owns the campus. The groundbreaking for the River Valley Campus took place in November 2017, and the new building is expected to be completed by early 2019. The new campus will include a health and wellness center and a freestanding emergency room adjacent to FMC’s River View Surgery Center on North Columbus Street in the Route 33 corridor. “This project is a vision of health and wellness for our community,” said Pam Starlin, FMC’s director of facility operations. “The goal is to provide efficient, timely and accessible care in a state-of-the-art, warm and welcoming environment on a campus close to home. Accessibility for the growing part of our community and ease of access for the communities we serve is key. We are investing millions of dollars in state-of-the-art equipment and technology to bring the latest in diagnostics and care to an easily accessible and highly visible location. “It is also estimated that this facility will bring 110 jobs to the community,” she added. Planning began in December 2015, and the project conception was unveiled to the public in April 2016. DesignGroup, which designed the River Valley Campus, mirrored its appearance to that of the FMC’s Surgical Tower, which openeuma bay; four exam rooms equipped to house observation patients; rooms equipped for the care of bariatric and isolation patients; a women’s health center where mammography, ultrasound, bone density and navigation services will be available in a private, spa-like environment; a clinic with 15 exam rooms with plenty of circulating space for multiprovider support and functionality; a medical/fitness level that will provide advanced physical therapy, occupational therapy, cardiac rehabilitation, and physical fitness, as well as a warm-water therapy pool, large classrooms and group exercise areas for instructional classes; and a diagnostic imaging and outpatient laboratory. There also will be lounge areas and conference space. d in 2015 at the main hospital complex. Andrew Barbina, Welty’s project manager, noted that the completion date was delayed from mid-December due to record precipitation and related logistical constraints. The building site is a 15-acre field, and the earth work was completed by the Trucco Construction Company Inc. in a few months. Preconstruction work began in the spring of 2017 and ended with the groundbreaking. The site provided sufficient space for laydown yards, topsoil stockpiles, and materials storage. 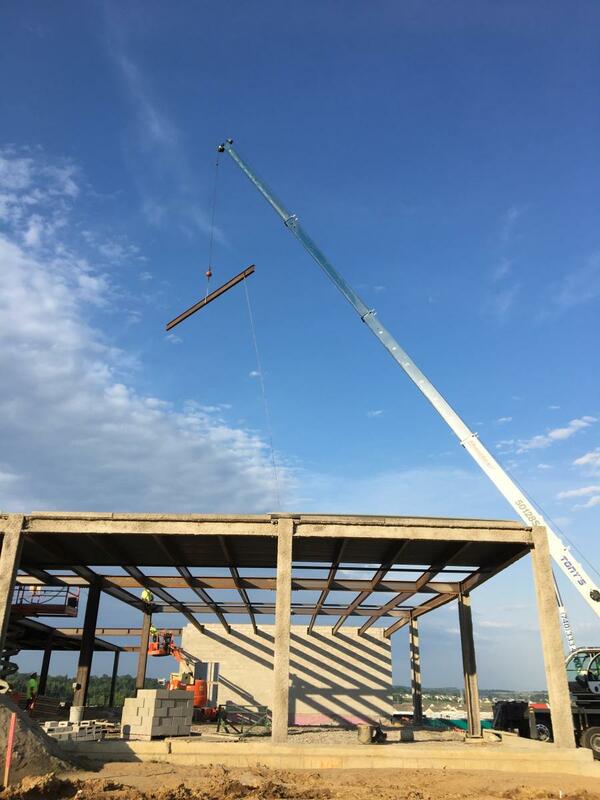 Welty placed its field operations office on the hilltop, which allowed the subcontractors, owners, and other stakeholders to understand the scope of the operations and appreciate the progress being made. The site was essentially clear of utilities, but care had to be taken not to interfere with those serving the adjacent Riverview Surgery Center. 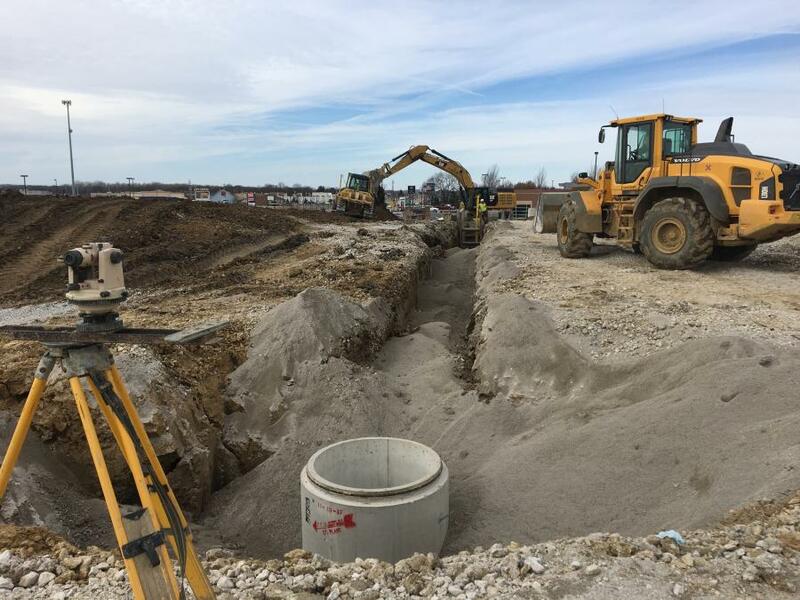 The noise and vibration from the construction did not bother neighboring health care facilities, but part of an adjacent parking lot was set aside for the construction workers and some material storage. This is the first hospital project for Barbina and his team, who found they could rely on the expertise of others. Construction of the medical building began in February. Welty has brought on several trade partners for the construction, includingUnlimited Concretefor concrete,Tony’s Weldingfor structural work,Fairfield IDfor framing and drywall,Titan Electricfor electrical,Gutridgefor fire protection,Dooley HVAC, andFreeland Contractingfor plumbing. The number of personnel has peaked at between 65 and 75 workers on site. Most of the work is done via day shifts, with extended shifts of 10 hours-plus being planned. Barbina is assisted by Kenny Williams, the project superintendent. “Kenny has been great out in the field, offering his experience and expertise, and is integral in planning day-to-day work and making sure that crews are not in each other’s way, working closely together to understand the project goals, and maintain a safe working environment, Barbina said. The project engineer is Mohammad Abdul. “He’s an integral member of the team on the office side and is providing field assistance, including requests for samples, submittals, information, and delivery times for materials,” Barbina added. The dig required removal of 15,000 cu. yds. of earth and rock, and new construction materials will likely include approximately 3,500 cu. yds. of concrete, 750 tons of steel, approximately 15,000 sq. ft. of glazing, and about 20,000 sq. yds. of asphalt. 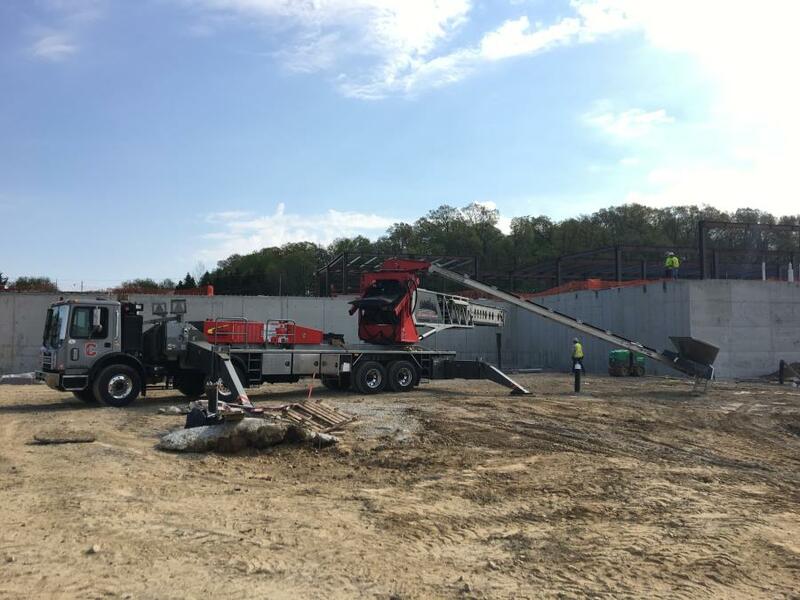 With the greater Columbus area experiencing a building boom, ordering materials in advance is necessary, as is signing up and scheduling subcontractors. While the glazing installation continues smoothly, some of the finer details require more attention, such as the exposed structural columns, drywall framing, and overall aesthetics of the building. The subcontractors have been using cranes, dozers and backhoes of multiple sizes, forklifts, boomlifts, rollers and pavers. Several of the contractors own their equipment, while others are renting equipment from dealerships such as Sunbelt Rentals and Herc Rentals. The dealerships provide mechanics to service the equipment, while the contractors who own equipment often maintain a team of mechanics to service and fuel their equipment. Punctured tires and busted hydraulic hoses are among the main wear and tear issues, and repairs are generally done quickly, save for those that require the shipping of specific parts. 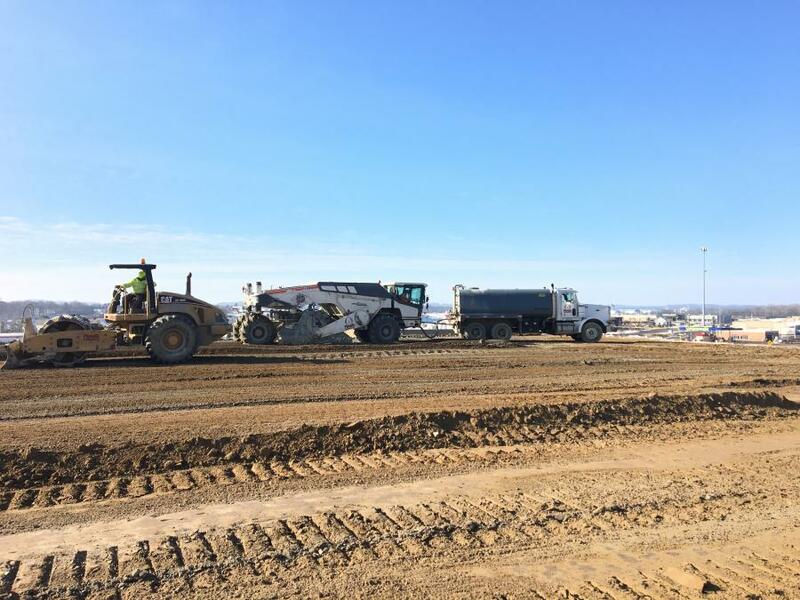 Barbina said he is pleased with how the crews are meeting the milestones for the big push to complete the job, including the enclosure and asphalt for the road work. Work is proceeding according to a lean construction method, and Welty is employing what it calls “lean boards,” which are based on a six-week look-ahead schedule and can be broken down into multiple areas, with each trade partner having a specific color for Post-It notes. “Every week we update this board and talk to people about what parts have been done and what didn’t get done and if they could do it next week,” said Barbina. “We have weekly meeting with our trade partners and provide a live picture what to expect and how to plan each other’s work. As we go into the interior finishes phase and final enclose, we put together some laminated floor plans on our Welty trailer wall so that our partners know what elements have been completed in various rooms and which areas have passed inspections.